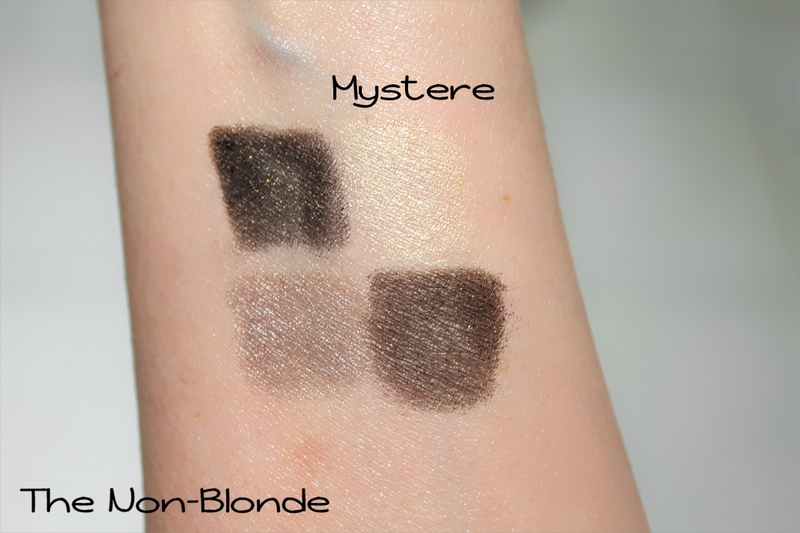 Mystere is the new Chanel eye shadow quad for Fall 2013. 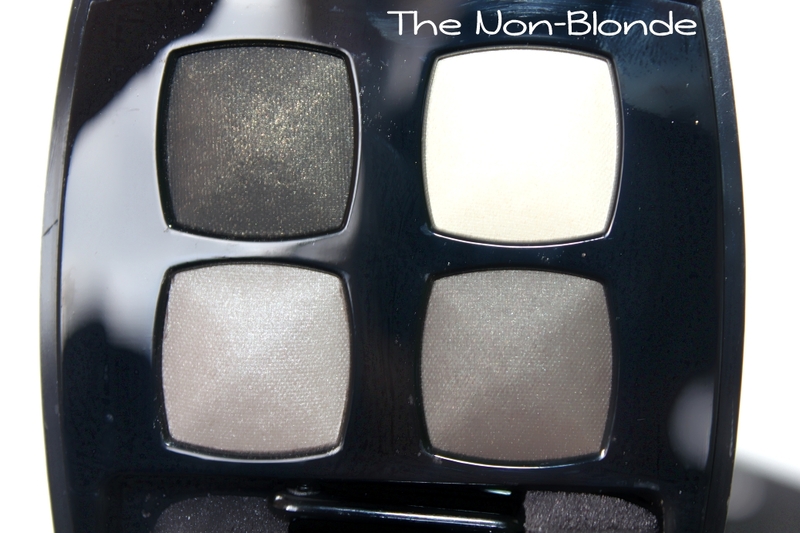 It's a neutral palette that goes with the khaki-bronze theme of the eyeliner and mascara in the collection, but will obviously fit well with just about anything you'll throw its way. The colors are subtle, complex and sophisticated. 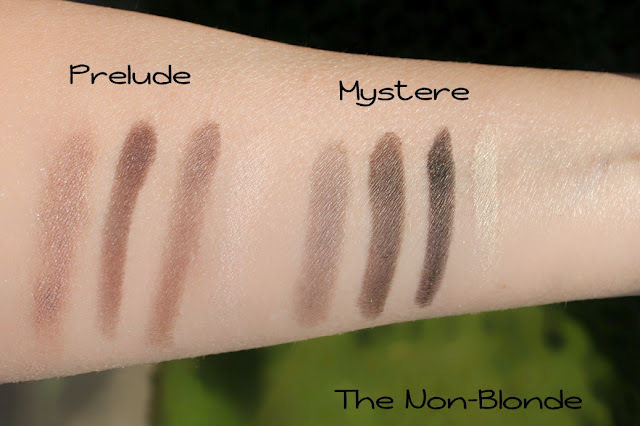 There's an ivory, a taupe (less purple than Gri-Gri), a khaki bronze, and a blackened olive or a bronze infused black/brown (depending on the light). 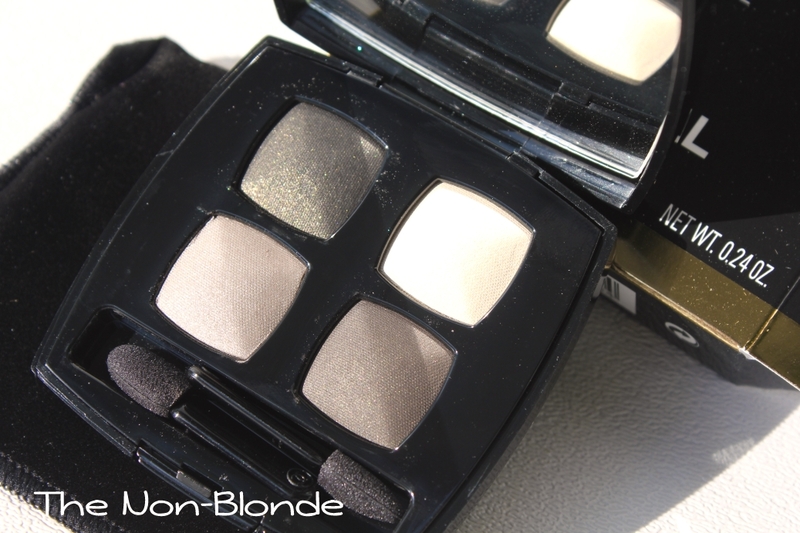 The texture of Chanel Mystere quad is the typical semi-sheer and shimmery that creates quite a bit of fall out. I can tell you that photographing the compact was a nightmare because from the second I removed the protective plastic insert I had debris all over the place. I kept wiping, but every time I moved the compact more particles got loose, resulting in dusty shimmer all over the place. This also means that you need to use a very tightly packed brush and I highly recommend applying your base and concealing after you're done with your eyes; but if you're a regular user of Chanel quads you already know that. Another reminder: an eye primer is non negotiable. Without one Mystere applies patchy, glittery and shows an abysmal color payoff. 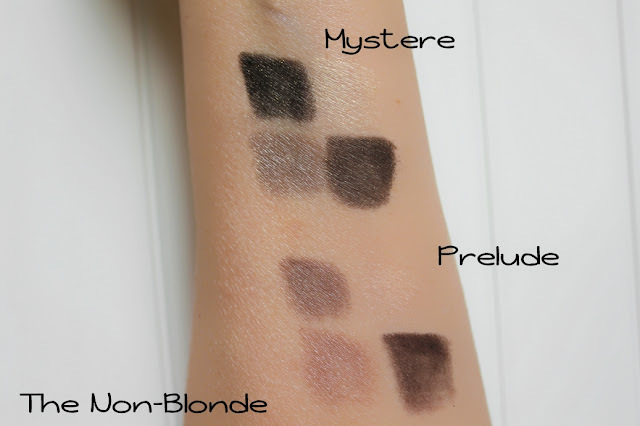 That's also what you'll see if you swatch Mystere at the counter on bare skin. However, the swatches above were done over an eye primer, and you can see that there's no lack of pigment there. 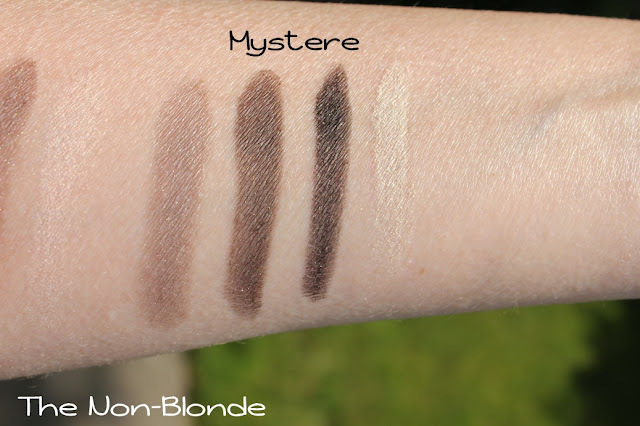 Mystere is closely related to another Chanel eye shadow quad, Prelude, from two years ago. Prelude is warmer, especially on my skin, and doesn't have the khaki leaning of Mystere. I don't think these quads are interchangeable, but the colors can be mixed and combined. 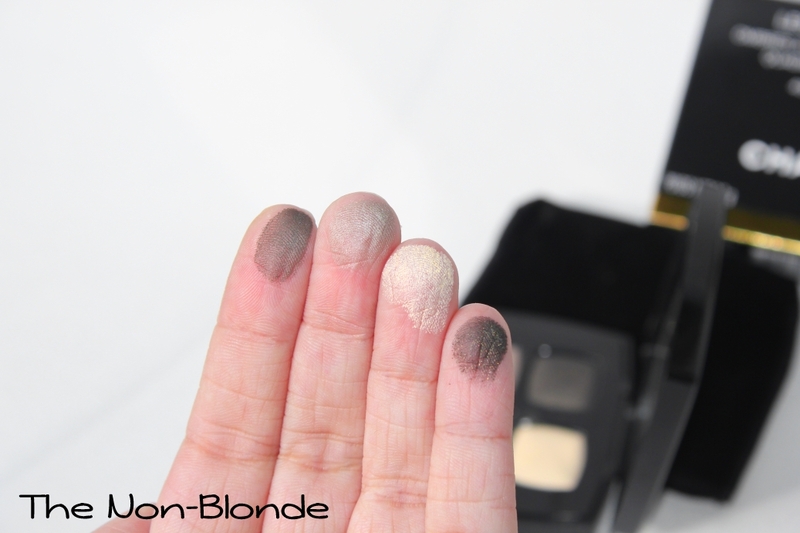 Bottom Line: beautiful, if you like Chanel eye shadow quads and get along with theit texture. Such beautiful khaki colors, I can't wait to try these on skin. My favorite of all time is still Kaska Beige quad.